"Just The Way You Are" won Grammy Awards for both Song of the Year and Record of the Year. ​© 1977 Sony Music Entertainment. 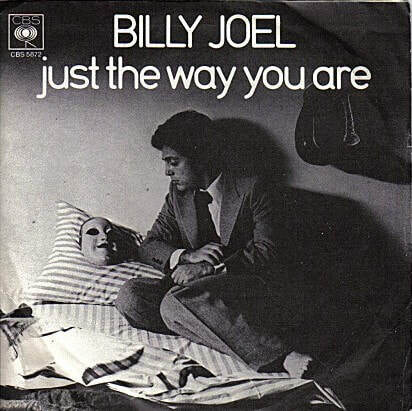 "Just The Way You Are" is the song that made Billy an international superstar. It won both Song of the Year and Record of the Year at the Grammy Awards (1978) and was probably the most frequently played song on the radio in 1977. Millions of newlyweds played it at their weddings. It is a classic. It remains Billy Joel's most covered song, along with "New York State of Mind." The gradually descending bass line of diminished 7ths chords, coupled with producer Phil Ramone's soft Latin-like samba beat (played in part by Liberty Devitto of course) and Phil Woods' beautiful sax solo make the song irresistible, even sublime. Click here to read about how it was put together, from an interview of Billy by Jazz Wax (Mark Myers). 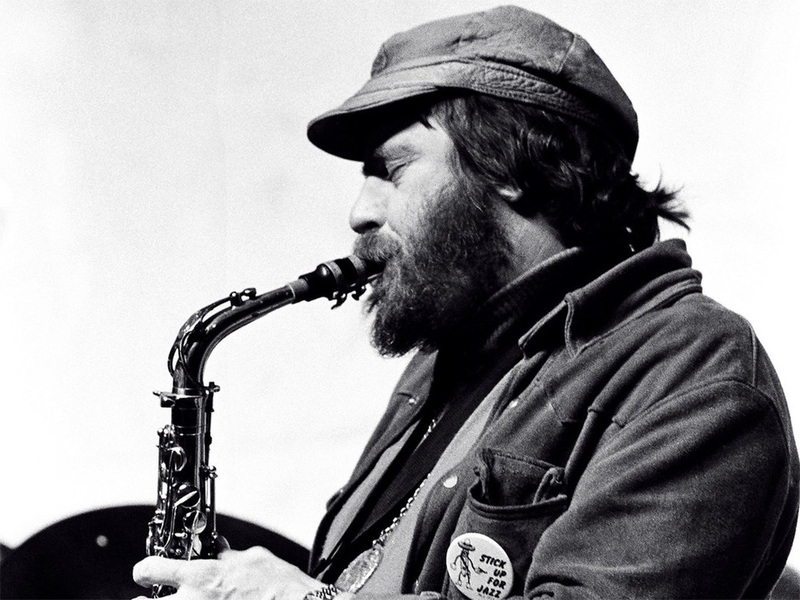 Jazz saxophonist Phil Woods. Photo from Wikimedia Commons (1978). And the sentiment behind Billy's lyrics still rings true. The lyrics are sincere and clever at the same time. In a time of turbulent change, "Just The Way You Are" struck a chord with people who wanted to be accepted and loved for being just the way they were. Each verse is unique, none are repeated until the end (rare in a pop song), and each expresses a heartfelt sentiment. The song almost didn't make it on the album as Billy and his bandmates thought it was too sappy, a "chick song" as Billy said. But singers Linda Ronstadt and Phoebe Snow (photo below), who were visiting Billy in the recording studio, urged him to keep it on the album. The enormous popularity of the song caused many critics to unfairly peg Billy as a balladeer, another soft rock sensitive guy like Barry Manilow or Neil Diamond, although Billy's roots were always in rock and pop. A critical backlash began to develop against the song and Billy who was enjoying worlwide recognition for the first time. Some critics mocked the song as maudlin or "lounge" music. But both Billy and the song have withstood the test of time. That's why he, and the song, are classics. Both jazz and lounge singers such as Frank Sinatra, Isaac Hayes, Diana Krall, Harry Connick Jr., Barry White and numerous others have covered "Just The Way You Are." Guitarist Jose Feliciano does an impassioned cover as well. Here is a nice bossa nova version by Breeze. And Billy's daughter Alexa Ray Joel does a nice version too. See her discuss the song as part of the Gap promotion, and hear a snippet of an in studio performance. Here is a good mashup of Billy's song with Bruno Mars' same-titled "Just The Way You Are" from 2010. And this is nice jazzy and funky cover by Piere Aristil and friends. But my favorite version is the jazzy cover by New Zealand group Twinset which is done as a duet. See video below. 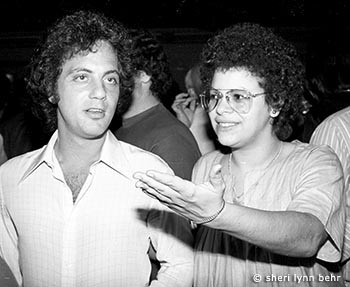 Billy and Phoebe Snow who urged him to keep the song on the album. Photo: Sheri Lynn Behr. ​Billy discusses how the music came to him one day, and also how the lyrics have sometimes been misinterpreted, from SiriusXM. Original version of "Just The Way You Are" (audio only). © 1977 Sony Music Entertainment. Billy explains how "Just The Way You Are" came to him, first in a dream and then later during a meeting. Legendary producer Phil Ramone explains how 10cc's "I'm Not In Love" influenced "Just The Way You Are." The New Zealand band Twinset performs the song as a jazzy duet. Jazz vocalist Diana Krall did a lovely cover of the song in 2002, which apparently was used in the movie The Guru. Beautiful acoustic cover of "Just The Way You Are" by Naudo. This is very impressive.